Feasible? What’s “feasible?” On our Inns For Sale page, The B&B Team® defines different types of inns as being either “lifestyle,” “financially viable,” or “feasible.” Unlike lifestyle or financially viable inns, by “feasible” we mean “properties with a size and location that have the realistic potential to become financially viable. They may include unique hospitality properties that are distressed, closed, under-performing, or currently used for other purposes.” What kinds of bed & breakfasts are we talking about? In this era where many inns have gone out of business, closed by choice, or been foreclosed upon, there are potentially a number of feasible properties for sale in this category. Take the example of a bed & breakfast that was purchased at the peak of the market in 2006. The buyer may have paid top dollar, may have bought it figuring he would make money reselling it no matter how the business did, “because real estate always goes up” (did you ever hear that before?). 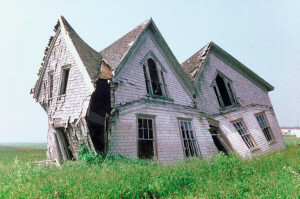 That buyer may even have invested in fixing the property up, assuming that money spent translated to increased value. When the Recession hit and business went down, he could no longer afford the mortgage, and the bank now owns a property that is closed, has no business track record to speak of, but is ready to go. This is the “perfect” feasible inn to buy if it has the size, location, and condition that lend themselves to a successful business, but there’s no cash flow to help acquire it. So, it takes some financial wherewithal to make it happen, but banks are often willing to offer favorable terms to a strong buyer. Another example could be the ten guest room B&B that was started in the early 1990’s. It was run well for a few years, but became tired. Business declined, and the owners thought they were too old to learn all the new tricks (social media, blogging, online reservations, etc.). The bed and breakfast may have had a good reputation, and may still enjoy some good will, but it needs updating in decor, amenities, and marketing to make it financially viable. It doesn’t have revenues that live up to its inherent potential. Priced right, this could be another example of a feasible inn. Fix it up, ramp up the marketing, and you’ve really got something. Then there’s another possibly feasible inn. There are two structures, one with 9 guest rooms, the other with four and a restaurant that has been open and closed three times in the past three years, and the rooms are a disaster. The property has a good location but has been abused and neglected for a long time. No one would seriously consider it for a residence, so it really should be an inn again. But it needs a LOT of work. In theory it might be feasible. A professional feasibility study of the property indicates that the size, location, and potential business mix have every reasonable potential to make money. The price tag from the bank (it’s another one of those bank-owned properties!) seems reasonable. But the fix-up costs seem daunting. In this case, the study reveals that successfully renovated, updated, and operated the inn could, in fact, be a money-maker, but whether it would make financial sense and could become viable depends upon the fix up cost. If the work could be accomplished for $500,000, the feasibility study indicates that the buyer could eventually (in 5-7 years) realize a solid return on their investment. But if the fix-up costs were to reach $1,000,000, one would be ill advised to take on the project. So, “feasible” becomes a potentially risky and expensive proposition, depending on the total initial investment. Is there a risk-reward equation to consider? Certainly there is, as with any investment. And a smart buyer will want to have a feasibility study performed to assess the inherent risks and potential rewards before acquiring an inn that is distressed, closed, under-performing, or currently used for other purposes. “Feasible Inns For Sale” can afford excellent opportunities. To know the risks and evaluate the opportunities, hire professionals who can guide you to an educated decision. You’ll be rewarded for taking the time and investing in seasoned advice. At The B&B Team® we love this kind of work. We enjoy sharing creative ideas with you to look at the exciting possibilities. But we also bring you down to earth about the realities. If it makes sense, we’ll support you all the way. And if it’s seems like a bad choice with unacceptable risks, we’ll let you know that, too. The job of the inn consultant is complex, but the role of the inn consultant is simple: We guide. You decide. This entry was posted on Wednesday, September 7th, 2011 at 10:40 pm	and is filed under Innkeeping Business, Inns for Sale, Real Estate Terms. You can follow any responses to this entry through the RSS 2.0 feed. Both comments and pings are currently closed.